HomeNewsNEWS: Neck Deep, Saves The Day, Sick Of It All and more join Hevy Fest 2016 bill! NEWS: Neck Deep, Saves The Day, Sick Of It All and more join Hevy Fest 2016 bill! 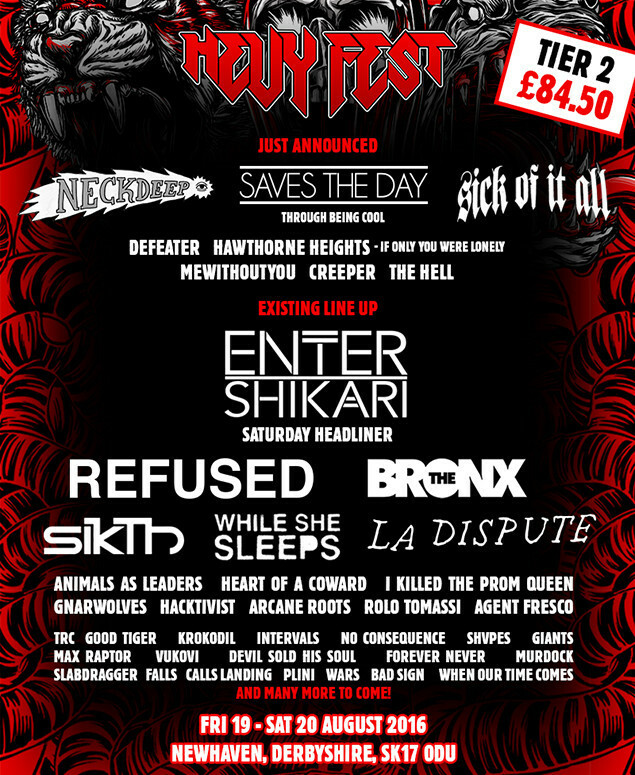 NEWS: Download Festival adds more names for 2014, including Bring Me The Horizon, Behemoth and We Came As Romans! NEWS: Final bands confirmed for Dr. Martens Stand For Something Tour 2015! NEWS: Defeater release surprise 7″ vinyl with two new tracks, ‘Still & True’ and ‘Let Me Down’!